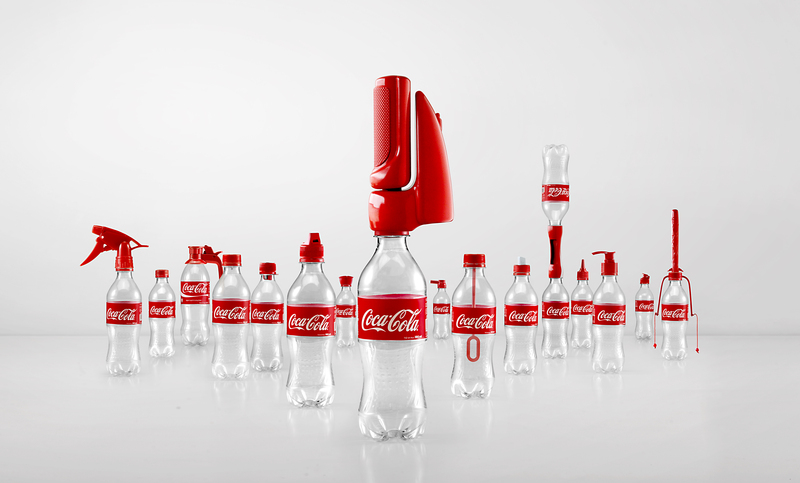 Coke Turns Used Soda Bottles into Fun Tools in Vietnam – StratGo Marketing. Plug-in marketing department services. What if you could turn a used soda bottle into a paint brush, pencil sharpener or water squirter? You can. In Vietnam. Thanks to Coca-Cola. The soda giant has launched a simple, yet brilliant marketing promotion that combines environmentalism with brand building. Coca-Cola 2nd Lives marketing program in Vietnam. Photo: Ogilvy & Mather China. Coke is giving away a series of 16 special caps that screw onto used soda bottles and transform them into fun and useful objects. Consumers get the caps for free upon product purchase. The program is called 2nd Lives, and is part of Coke’s sustainability efforts. Coke’s idea, created in conjunction with Ogilvy & Mather China, is a good example of customizing a global brand based on local market and culture understanding. And that insight led to the 2nd Lives initiative. “These unique bottle caps are changing consumers’ behavior and mindsets with an incredibly simple, yet clever, idea. It’s not about high tech capabilities, just creative thinking,” said Juggi Ramakrishnan, Executive Creative Director, Ogilvy & Mather Advertising Beijing, in the press statement. The pilot program began in Ho Chi Minh City, Vietnam in March. Coke expects to give away 40,000 bottle caps throughout the country in 2014. There are plans to extend the program to Thailand and Indonesia at a later date. Coca-Cola has launched a brilliant marketing and sustainability program in Vietnam that transforms used soda bottles into useful and fun tools. It’s an example of the smart brand management required to effectively market global brands in local geographies. I so would love to get these products great idea and awesome for the enviroment especially our ocean im a coca cola collector and so would love to use these, how can i go about getting it ? Thanks for reading. Please contact Coca-Cola for availability questions.